Each year at Swansea Comic and Gaming Convention, we donate 50% of each ticket sold to a local charity. 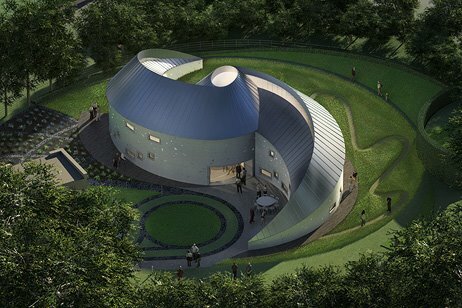 This year’s chosen charity is Wales Air Ambulance. 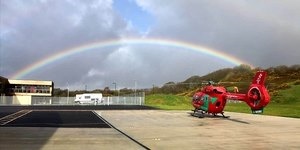 Wales Air Ambulance covers the whole of Wales every single day. Each year their helicopters attend around 2,500 missions, covering rural countryside, bustling towns and cities, along the Welsh coastline and across vast mountain ranges. Their four airbase operations in Caernarfon, Llanelli, Welshpool and Cardiff are ready to saves lives wherever needed. 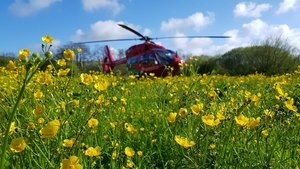 Wales Air Ambulance can be there for anyone in Wales within 20 minutes. But they don’t just fly patients to hospital – they take A&E directly to you. Their critical care consultants and practitioners have some of the most pioneering equipment and skills in the world, including blood products and techniques developed in the army, meaning patients receive advanced care before they even reach the hospital. Wales Air Ambulance is funded by the people of Wales; they rely entirely on the public’s support to help keep the helicopters flying. The charity does not receive direct funding from the government and they also fail to qualify for National Lottery funding so they are only kept in the air by support from people like you. 2018 This Year we raised £2974 for Blood Bikes Wales.